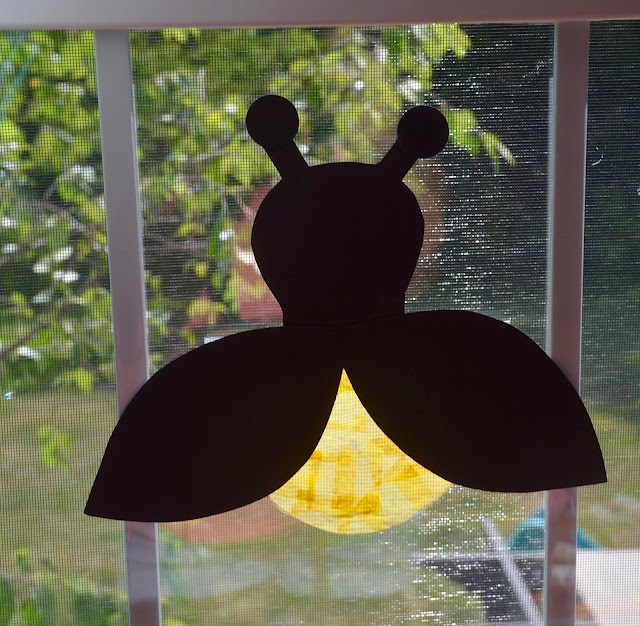 One of my favorite childhood memories is catching lightning bugs in the summer. This is the time of the year when lightning bugs sparkle in the night. 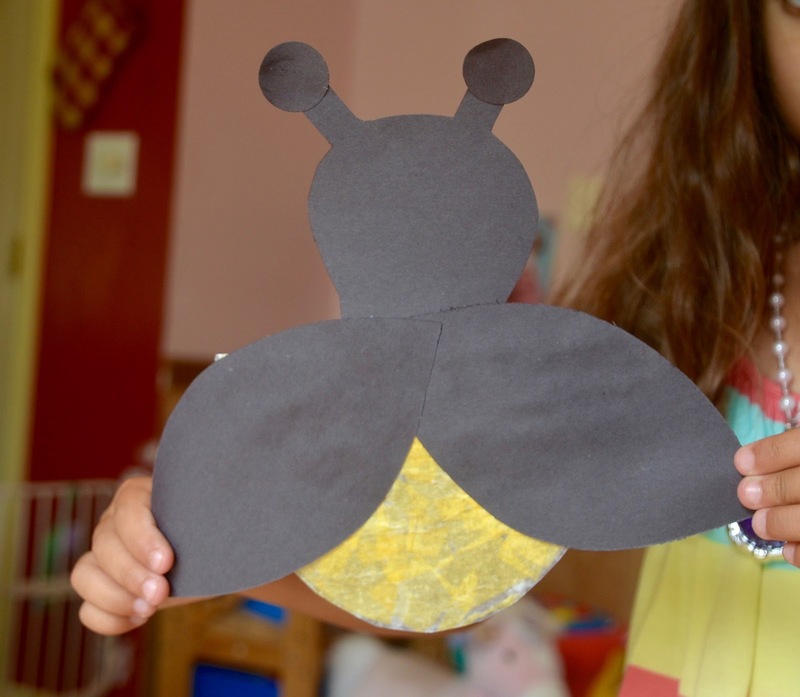 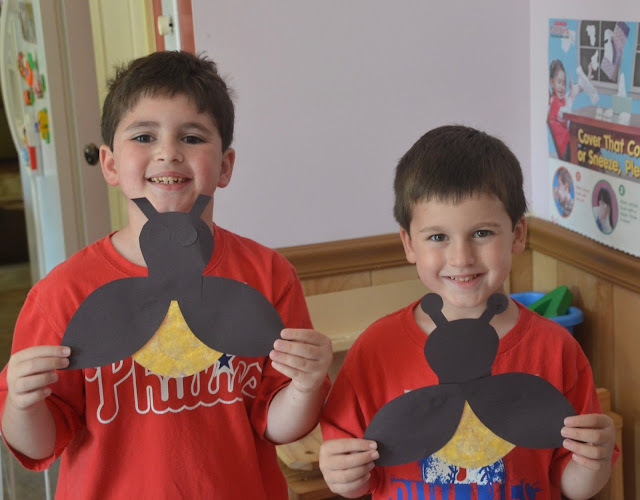 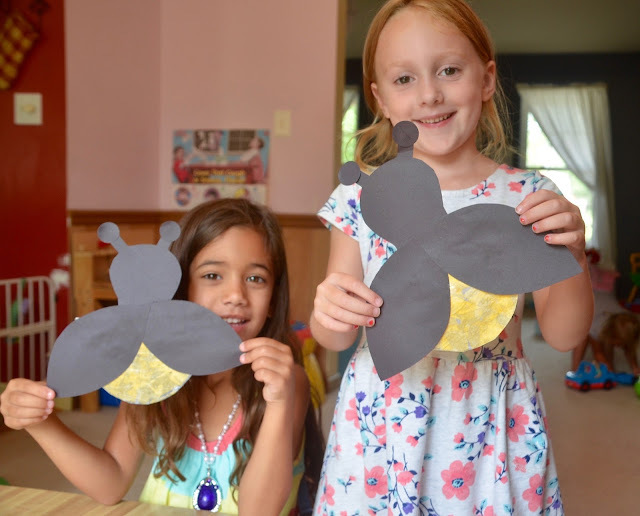 I was inspired to make this lightning bug craft with the kids. 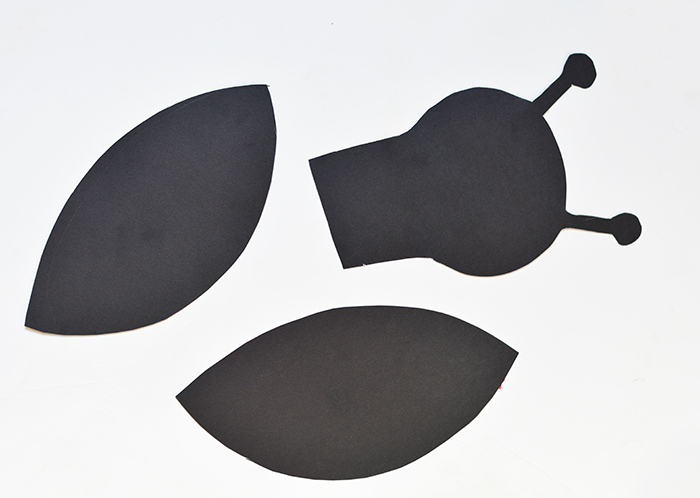 Cut out the shapes for the head and wings of your bug.